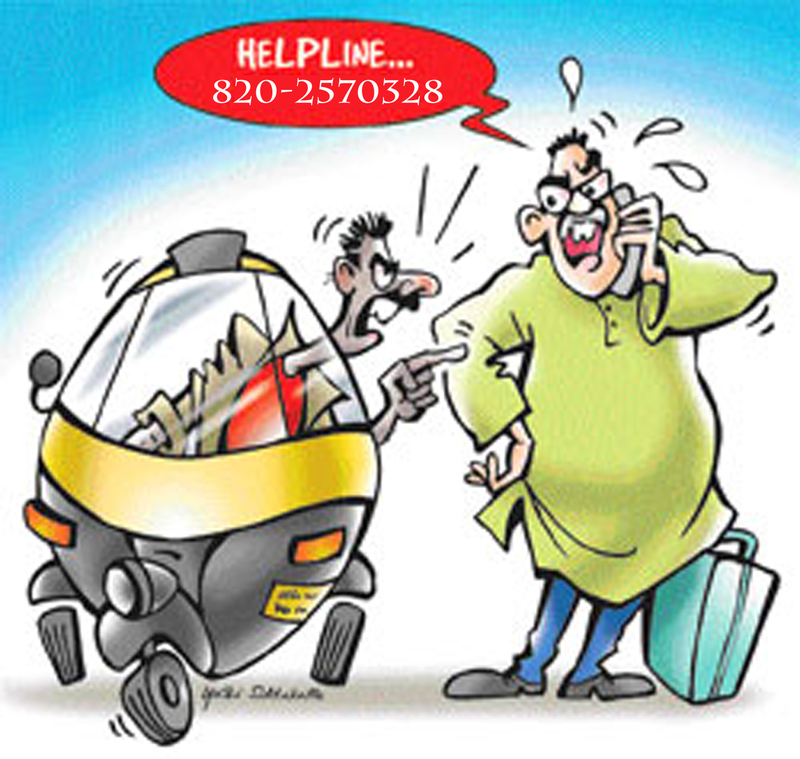 HomeUncategorizedManipal Auto Driver Given His Due: A Manipalite Fights Back! This took place today. One of our own bloggers at ManipalBlog.com Gaurav Garg was harassed by an Auto driver in Manipal today and he took the guy to the police station to get justice. The auto driver wanted to charge extra (30 rupees instead of 20 from Indrali to Manipal), Gaurav refused to pay. The auto guy of course demanded the money, called his auto buddies around. He held his ground. Gaurav threatened the driver with police action on which the auto guy appeared threatened an said that he would drop of Gaurav where he picked him up. On reaching Indrali the auto guy now got bolder thinking that now he’s in his town not in Manipal. So he started threatening and told him that he should pay and now DEMANDS TWICE the money for taking him and dropping him back. On Gaurav’s refusal he gathers his auto guys again and threatens him that he won’t let him back now. Now this is criminal intimidation. Gaurav had the phone numbers I put up in the previous post and called up MAHE Security, who refused to help as he wasn’t in their jurisdiction (not on campus). He called the police station in Manipal who asked him and the auto driver to come in to the police station immediately. They both arrived at the police station and the auto guy called his Union Officer over. The union rep was trying to intimidate Gaurav by shouting at him. Gaurav simply told the cop he doesn’t have to listen to this and maybe the union guy should see how their people are robbing everyone. I must point out that the cop was trying to put the blame on students saying that it’s our fault for paying exorbitant prices, Gaurav’s answer was that we giving extra cash on our own is different but them charging us unlawfully isn’t. The cop asked him to file a case report. He was about to file a full report when the auto guy scrambled to his feet, and started crying asking him not to file a criminal case report! Gaurav was nice enough not to file a criminal case for harassment but he did file a case for traffic violations which would lead the auto driver to get a ticket for a few hundred rupees. He made the auto driver write a signed apology letter to him also. The process did take 3 hours though. Now the key here why Gaurav did not file the criminal report and why the auto driver was begging for mercy. The Cop told Gaurav that had he filed a criminal report the auto driver would either loose his licence or his auto impounded or both. This obviously has far reaching consequences. Also if the case report is done in the RTO Office in Udupi, it’s even stronger and faster and must stricter. Manipal Cops deal mostly with criminal cases. I’m gonna try to get the RTO number asap and post it up. I know the time taken was a bit but ya know this was worth every minute. It’s about time to harras the harassers. These bastards should know that we now have the knowledge how to attack them in the ONLY language they understand. Take them to the cops. Don’t let them harrass you even a bit. Gaurav gave them a finger, they took the hand. Don’t give them anything. If you feel harassed call the police. Fight back. This is an example of what we can all do. I’m so glad that the post helped someone. If you feel that it helped you or made you feel safer, drop a comment in here. Check out my post on these drivers and full information here.